Rick and I established Richard & Richard's in July 2010. From supply only to full project management, we have many products to suit different budgets. We have strategically chosen to partner with Bosch, Neff and Siemens branded appliances. We also sell Franke and Blanco sinks/ taps depending on our customers' requirements. We choose to sell quality products at better prices rather than sell the cheap low quality. With this, we then have peace of mind that our customers have good quality products with a smaller chance of having issues. Of course, should a service call be required we are here for the after sales service. After all, we do believe that "if a job is worth doing, it is worth doing well." We have a showroom based away from the high street in the Pear Mill shopping village. There is an onsite café and of course many free parking spaces. 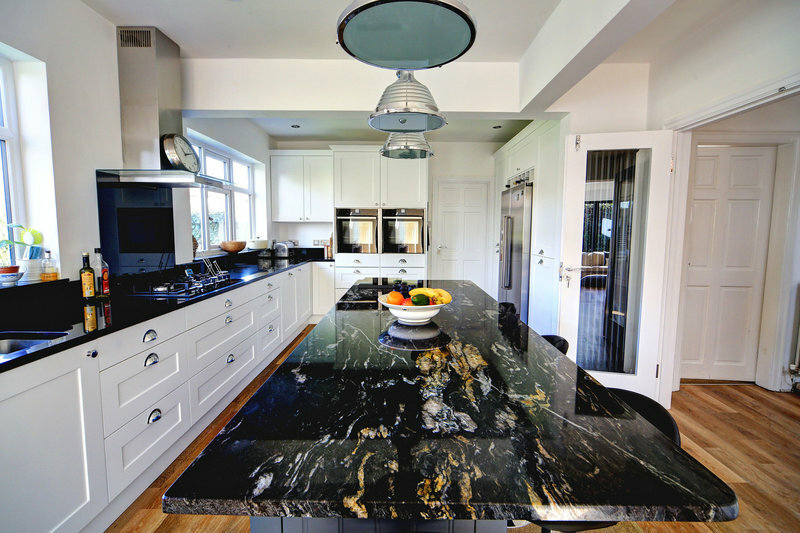 We offer a professional free no obligation design and quotation service. We do not provide a fit only service. As soon as we first visited their showroom and had a chat with them we knew we wanted R+R to do our kitchen and bathroom. We had recently bought our first house and were nervous about the large amount of work, and ensuring we found someone reputable and trustworthy to do it. However, we needn't have worried! Dan, Lee and the team were so helpful, professional and approachable; nothing was too much trouble throughout the whole process. We even felt comfortable enough to go away for a week or so whilst the bulk of the work was done. Whenever little issues popped up they were quickly dealt with and clearly communicated to us. Dan even helped us out when the loo seat broke recently (a few months after the work was finished). The subcontractors they used were all very reliable and I got the impression that they were held to an extremely high standard by R+R - I now have the numbers for an electrician, plumber and plasterer who I know I can trust for any other future work. Honestly, I can't recommend these guys enough. Unfortunately we don't have any other bathrooms (or kitchens??) in our house, but if/when we move and we need someone, we'll go straight to R+R! From the initial consultation to final installation, nothing was too much trouble. Daniel showed endless patience along the way as we made many changes to give us our dream kitchen. 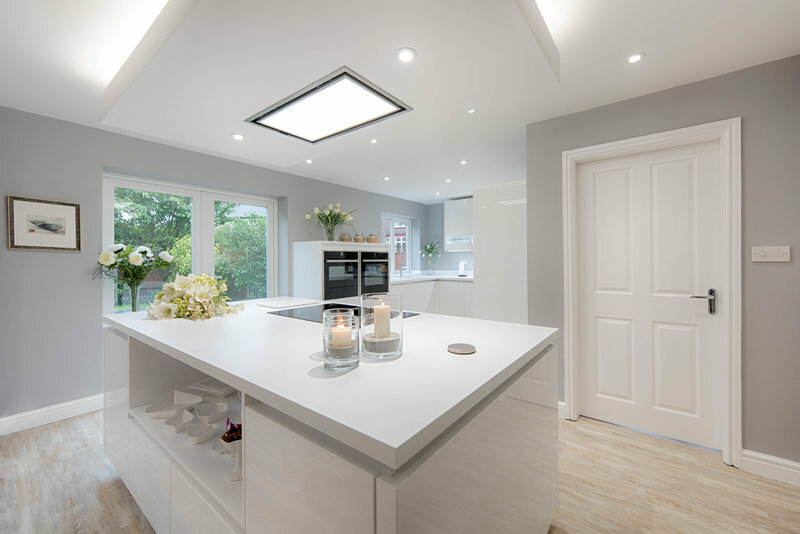 The installation and remodelling has been completed to a high standard by the various trades within the expected timescales and price quoted, only 12 weeks from initial consultation to final installation, coordinated by Daniel as project manager, taking the stress away from us. Attention to detail and customer service has been excellent. We were never made to feel that we were being a pain, but I’m sure we were at times! 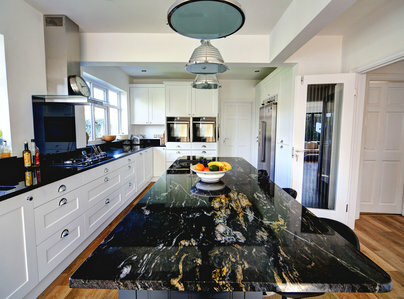 We did exceed our initial budget, but that was our choice, upgrading to a Dekton work surface and high spec appliances. It is one of the biggest purchases we have made and we are so pleased with the end result. Many thanks to everyone involved (including Daniel, Rick, Lewis, Carl, Damien, Neil & Laurence). All highly recommended. Never having had any big jobs done before. 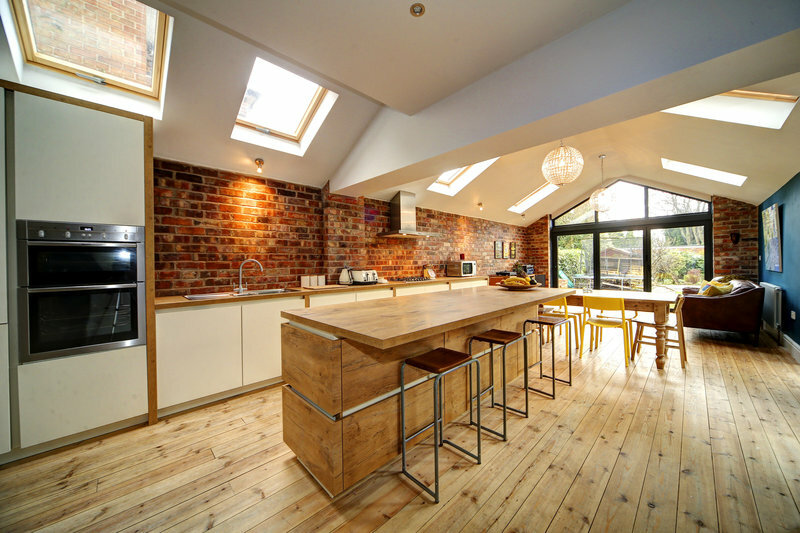 I was impressed with Dan's professionalism and ideas for my kitchen, he put me at ease. I went down to the showroom to view my kitchen and make any changes and was made to feel welcome and that no question was a silly question. All the tradesmen turned up on time and all were pleasant and professional. My fitter Terry was excellent and kept me informed at each stage of what was happening. In fact by the end of the week it was like a friend was working in my house. Amazing what a bacon butty can do!. Dan called round twice to make sure everything was on track. Having got other quotes, they are not the cheapest, but as with most things you get what you pay for. 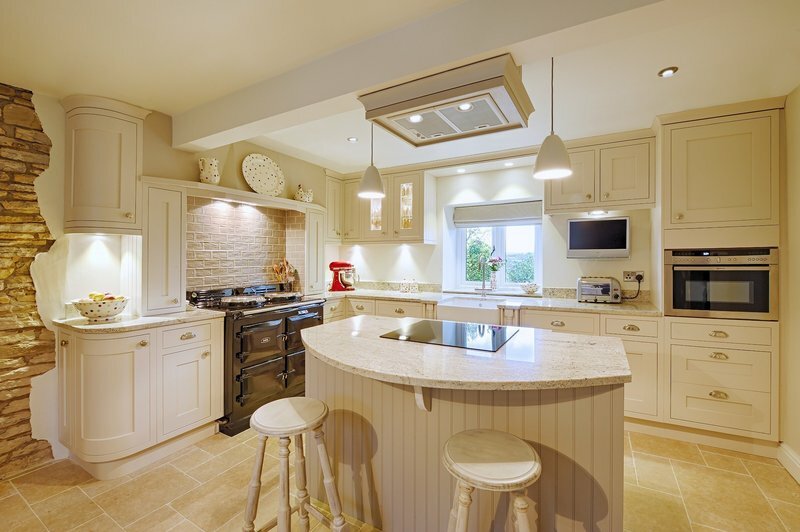 All in all I would have no hesitation recommending them for fitting kitchens. Excellent service and excellent staff. 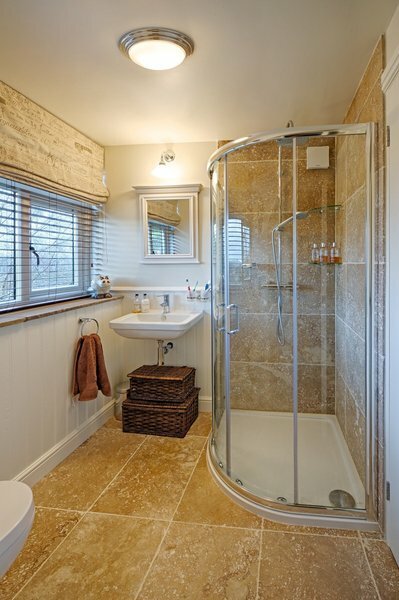 From the first consultation through to the finished bathroom, everything has gone very smoothly. I can't praise the efficiency and professionalism of everyone involved enough, and especially Daniel who managed the project, taking my first ideas and showing me how they would look, and Rick who did the majority of the installation, which involved the complete removal of the existing bathroom down to the bare walls and floor. Everyone stuck to an agreed schedule and the work was completed swiftly and to the highest standards. Each of the additional skilled tradesmen brought in (plasterer, tiler, electrician, painter) was reliable and extremely tidy. Small details were discussed along the way and Daniel and Rick ensured that the finished bathroom was just as I wanted it. Communication was great through the whole process, costs were transparent and immediately modified when any changes were made to the original quotation, and the results are brilliant. I am very impressed with this company and have no hesitation in recommending them: they have the skills, the vision, and they take care - you couldn't ask for more. Thanks very much Richard and Richard's. 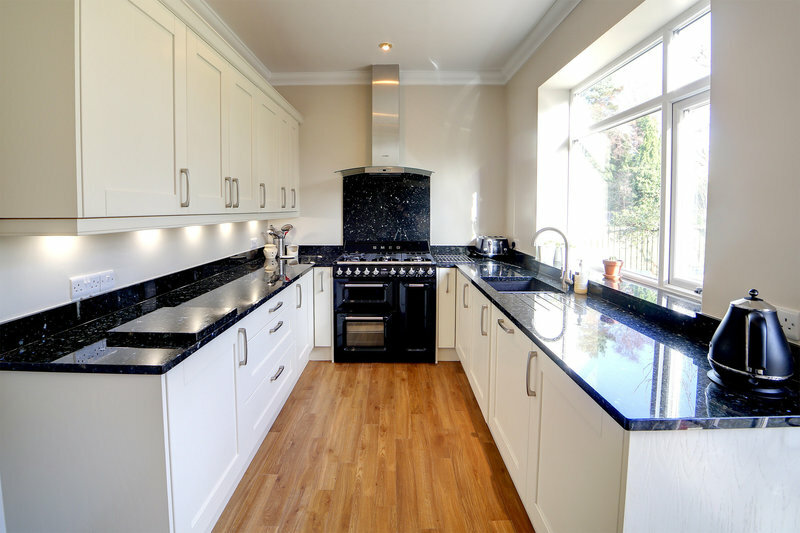 We planned our replacement kitchen over about 18 months and got quotes from 5 or 6 companies. The moment we went to see R&R they just stood out from the rest, their attention to detail is exceptional. There is no rush no pressure the main thing is to get things right. Everyone who worked on our kitchen was on time and completely professional I cannot think of a single thing that caused me any concern. As with any significant job there were one or two very minor problems but these were all resolved quickly and without fuss. 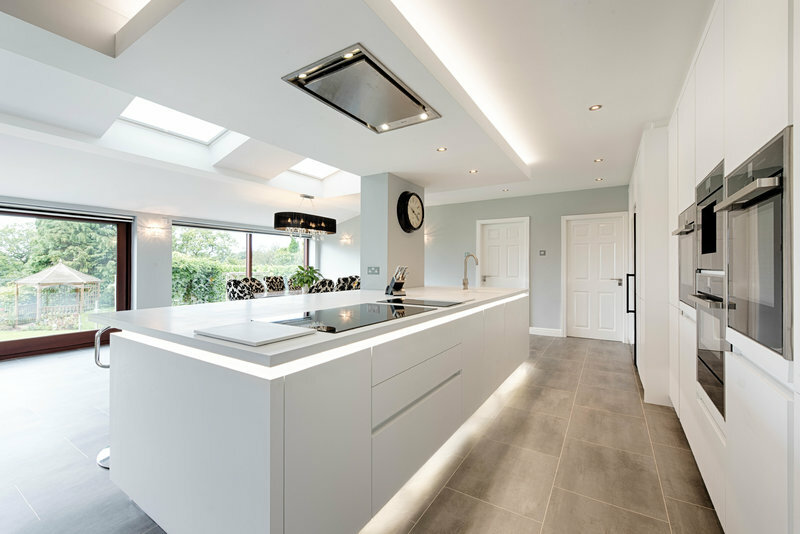 I would recommend R&R to anyone thinking of having a kitchen installed, they are not the cheapest in town but the end result is worth every penny. First class, professional, reliable and trusted Company. We took some time to choose a Company who we felt confident could complete all the work we wanted to our satisfaction. This included changing the room layout in our bungalow: designing/fitting a new kitchen in what was a living room, redesigning a living room, installing new cloakroom fittings and changing the existing kitchen into a study/storage room. Richard & Richard's (R&R) came out top of our list of several Companies for many reasons, not least because of Ricky's and Rick's professionalism and 'nothing is too much trouble/can do' attitude. We class ourselves as bordering on awkward customers who like everything to be as near perfect as possible and will say if we are not 100% happy with anything. During the design process with Ricky we took a while to plan exactly what we wanted but even so still made several amendments as work progressed. At no time did Ricky or a Rick make us feel a nuisance, both were always more than willing to facilitate any changes as their main objective is to ensure the customer is happy. All the work is now complete and we are delighted with everything and would not hesitate to use R & R again or recommend the Company. Ricky is a true gentleman who genuinely has the customers best interests at heart and Rick is a highly skilled craftsman who takes pride in his work. 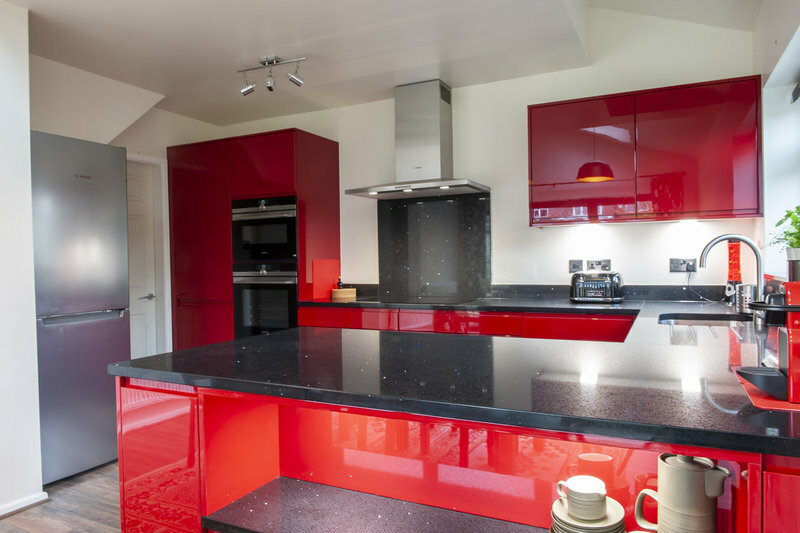 It would be difficult, if not impossible, to find a more professional, reliable and trusted Company and we cannot speak too highly of everyone we have dealt with at R & R.
Me and my wife are really, really pleased with our new kitchen. From day one till the very end we received an outstanding service from the team at R&R. Customer service, design, fitting, all provided at the highest level with great care and attention to details. I would highly recommend this company to all looking for their new dream kitchen. It's money well invested and then there's that peace of mind, that everything is going to be all right, because R&R are there for you. Our kitchen has been transformed by the wonderful team at Richard and Richard's. Dan gave us a vision of what could be done (we were clueless about how to go about it) and spent a lot of time with us explaining pros and cons of every aspect. When we received the virtual walk-through a short time later, we were blown away with how it would look. Estimations of the costs were given in great detail and we met with Dan on a couple more occasions before work commenced to finalise colours,etc. At no point were we pressured in any way and we were amazed at the attention to detail in all aspects. Work started as scheduled-the old kitchen removed by Lewis on day 1,electrical work done by Damian and his Dad on day 2 and plastering by Carl on day 3. Fantastic workmanship by all of them, polite,punctual and professional. It was then time for Rick to start the installation. I cannot express how much attention to detail he puts into his work - we witnessed a true professional at work - he was here from early morning and did not stop until we had a kitchen we had previously only dreamed of. 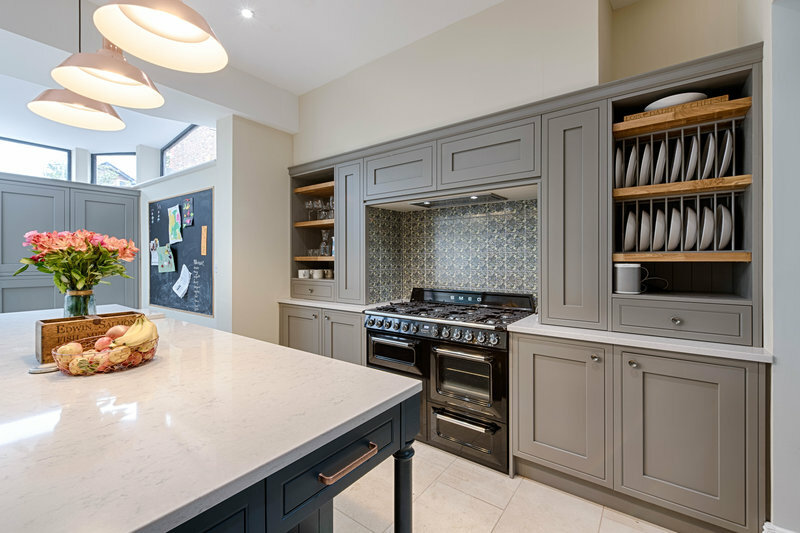 We have been using the new kitchen for 2 weeks now and are delighted with the quality of everything from the appliances, the well-planned cupboards,worktop and flooring. A big thanks to all at Richard and Richard's - including Pam at the showroom who always greeted us with a smile and a cup of coffee! I would not hesitate to recommend this company.